Tony Lawrence's Coins & Stuff: Twenty Cent Coins - why? 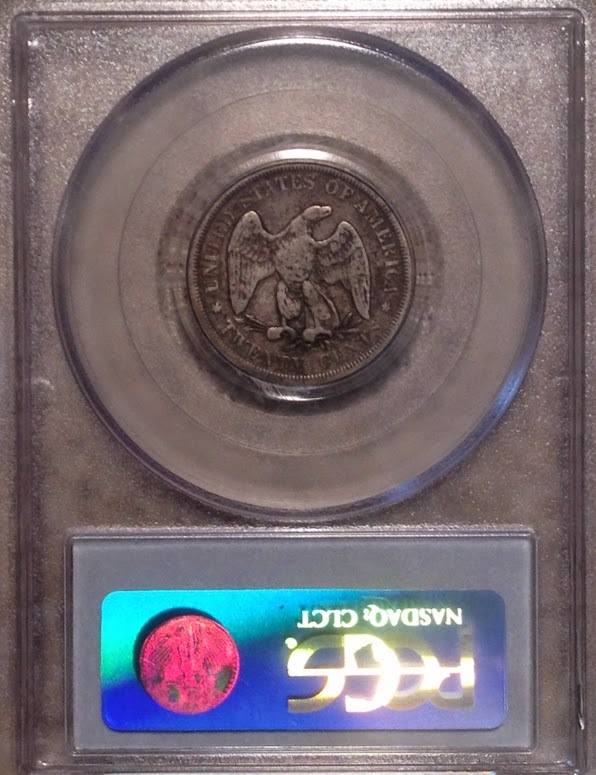 One of the coins in the collection I inherited really made me curious. It was a twenty cent piece; a common date for that series, but I wondered why we ever made such a coin. The Red Book didn't tell me, and in the mid 1950's my options for numismatic knowledge were limited. Our library had nothing, the Internet was more than 20 years away and even the one local coin dealer I knew couldn't answer that question. A related question would have been why we made quarters. After all, our coinage was based on the decimal system, so quarters was actually an odd choice. The reason for that, though, was the common practice of cutting up larger coins into quarters and eighths ("pieces of eight"). A 25 cent coin made sense because of that. So, no twenty cent pieces until 1875. But why then? I did not know. Much later I learned that the Western states didn't like the nickel 5 cent coins because they weren't silver. Most of the remaining silver half dimes minted previously had been sucked out of circulation both during the Civil War (hoarding) and because of the new nickel coins (bad money drives out good). This left no way to make change for a quarter without the unacceptable nickel. Or at least so said Senator John P. Jones of Nevada, a heavy silver mining state. There was undoubtedly more to the story: silver interests had lost the battle over 3 and 5 cent coins. Coinage of dollars had stopped and "free silver" was yet to win the major Morgan Dollar victory, so the silver producers surely pushed hard for this also. They were a powerful lobby then and now. 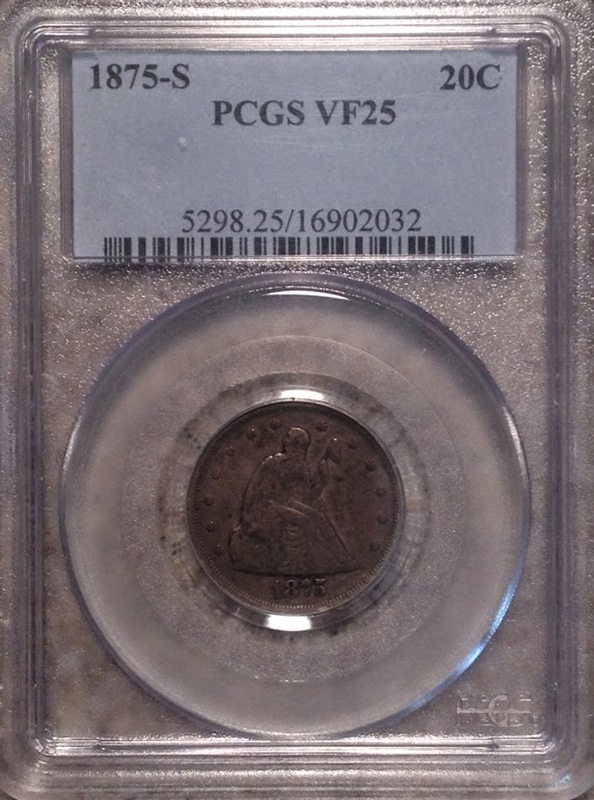 Of course it was confused with the quarter and and was quickly dropped from circulation strikes after 1876 (proofs were made through 1878, though). A short lived series with a lot of interesting history.